BIM has great benefits for early stage designs. Visualising a project in 3D is not a new concept in architecture, but software allows us to analyse our buildings during design stages to give clients the most effective buildings. BIM allows clients to get involved in the project’s decision making and communicates the design intent, not only the pretty pictures, this according to Marelise Dann, BIM Manager for Boogertman and Partners (B+P.) The BIM Institute was privileged to discuss B+P’s R1.8bn Menlyn Maine Central Square project, and all things BIM with Dann. 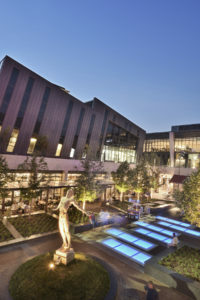 The Menlyn Maine Central Square (MMCS) is a mixed-use development that forms part of the greater Menlyn Maine in Pretoria. 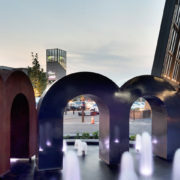 The project consisted of a boutique shopping centre, commercial office building and hotel. 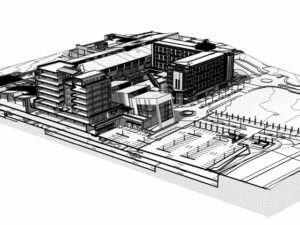 Being such a large, fast-paced project, it served as a great development to make the case for BIM. 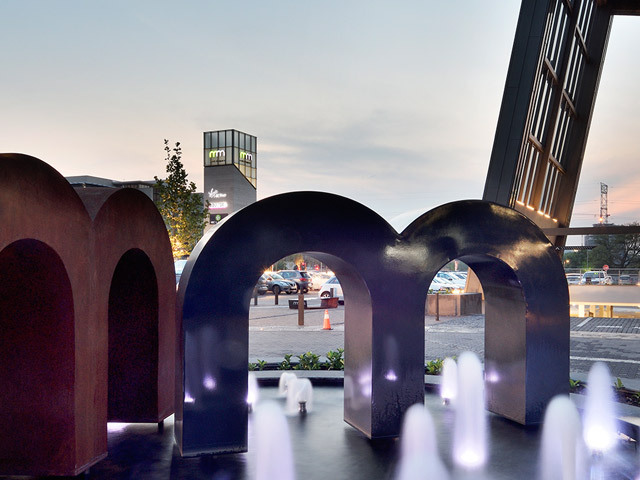 “MMCS has been a great case study for us in terms of internal operations and collaborating with our consultants and contractor. Because of the size and complexity of the project, our team had to push the limit of processes and protocols to deliver a highly coordinated outcome in a short period of time,” states Dann. Internally, MMSC was a great example of how teams should be put together to stay productive and innovative. The workflows on Revit and Navisworks and the BIM Execution Plan was optimised to achieve specific project goals. Externally, the MMCS team’s dedication spilled over to the rest of the stakeholders in the project. MMCS had been earmarked as a BIM project from the get go. 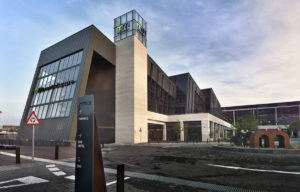 The bi-weekly project meetings evolved to bi-weekly workshops that included all project stakeholders, with Navisworks clash detection at the forefront – to reduce issues onsite before drawings were issued. “Boogertman + Partners (B+P )is focused on human centric design. Human centricity entails having a connection with all stakeholders inside and outside of our business. BIM plays a big role in bringing our staff, consultants and clients together as a team, to deliver excellence,” explains Dann. B+P’s modelling standards have been created according to the AEC (UK) BIM Protocol for Revit. Its BIM standards and processes are aligned with the , where South African BIM Institute methodology permits. “I think all companies go through the same challenges during any kind of transformation. BIM is not unique to that. One of the biggest challenges usually is dealing with change,” says Dann when recalling the early days of the company’s BIM execution. “When I started at B+P in 2014 our biggest challenge was to make the time between projects to implement our BIM strategy. What made our transformation successful was the determination of a leader and an amped team, to drive B+P into the future with BIM by changing our culture to a culture of learning. It’s our culture of learning that is still driving our passion for BIM today,” Dann continues. To implement BIM successfully, businesses need to go through major transformations, not only in software, but right across your business culture. Dann shares six steps to help drive BIM execution. BIM should be written as part of a business plan and strategy. If you do not have full buy in, it will take longer to see any kind of ROI. BIM is not a tool, it is first and foremost a process. Management needs to be trained on the processes of BIM, the workflows in a BIM project, BIM tool’s capabilities and it needs to be factored into the business culture. New roles and responsibilities will have to be created. The beauty of BIM is that it should play to your staff’s strengths to build the best teams. This is the key to proficiency. Set long-term goals for where your company should go with BIM, i.e. : your strategy might be that of an innovation company, or just plainly to be efficient and effective. Then set short-term goals – as progression steps – to reach your long-term goals. Make your staff part of your decision making process. Including your staff in the transformation journey gives them a sense of purpose. Your staff will then automatically become the drivers of BIM in your company. Up-skill your staff on a regular basis and make sure you give them support from local BIM experts. Ensure your strategy allows for movement and growth. BIM is growing faster than we know. 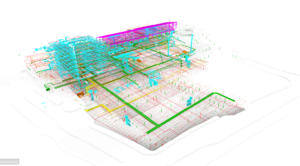 “BIM is moving at such a fast pace, our next challenge is to get into a culture of change. New technologies will need constant adaptation of workflows and we need to be ready,” she explains to Vaughan Harris, BIM Institute. One of the greater benefits of using BIM in early design stages is that it sets the BIM workflow for the rest of the project stages, by visualising complexities and anticipating potential risks, making the project more efficient all around. 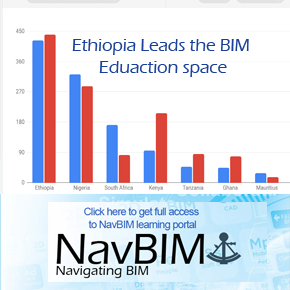 “Up-skilling staff on BIM processes is not necessarily challenging. The more you work on BIM software, the more the BIM processes, workflows and protocols make logical sense,” smiles Dann. Our staff does not always get the chance to exercise their BIM skills and workflows, because of the lack of interest from various stakeholders on projects. Our Architectural, Electrical, Construction (AEC) industry does not insist on BIM; in most cases the industry has an obscure perspective on BIM – causing reluctance to use it. There is a major gap in South African BIM skills, workflow and BIM software, which also obstructs processes. The solution? B+P has taken it upon themselves to educate project stakeholders on processes during projects, to ensure the BIM workflows do not falter. “It is up to us – as a team – to ensure we use the best possible methodology to deliver our product. 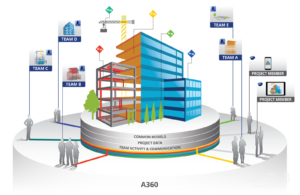 BIM allows teams to come together. We just need to start enforcing it,” she concludes. Dann is the BIM Manager for the Boogertman and Partners. 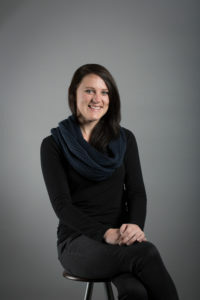 She develops and oversees BIM / Revit / Workflow standards. Her role includes continuous staff development, support and encouraging BIM workflows on projects. After finishing her N.Dip Architectural Technology from TUT, Dann worked in both the public and private sector as a Technologist. She soon realised that she needed to find her niche in the market when she got a call from Modena Design Centres who needed a Revit trainer. When she started at Modena, Dann only trained Revit MEP and Revit Architecture, however, after working with both Engineers and Architects she realised there is a big gap in coordination. From then on, her focus has been shifted to coordination and quality product delivery. In 2013 she was outsourced to B+P as a BIM Consultant, becoming a full-time employee the next year. Her first year at B+P was completely focused on upskilling the staff, after introducing Navisworks and BIM coordination and coordination workflows into projects. 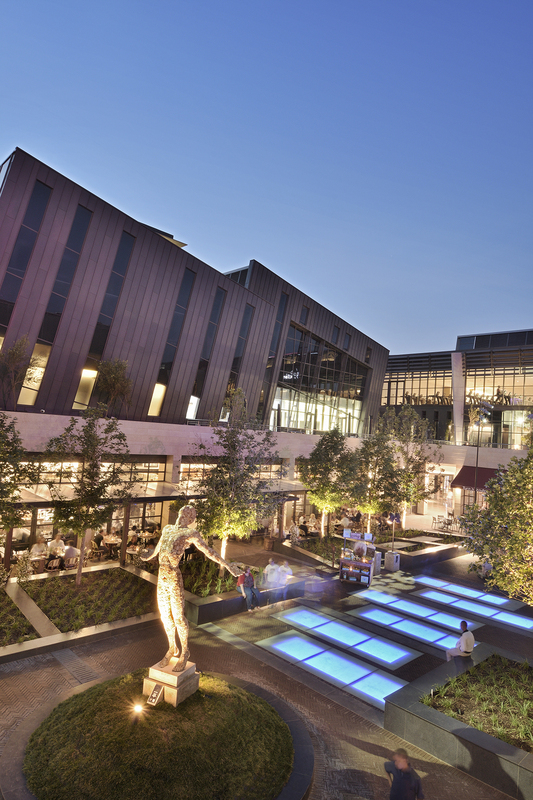 Menlyn Maine is a groundbreaking decentralised green city mega-development, the 65,000m2 R1.8bn Central Square mixed-use space at its vibrant hub.